Tags: Audio, CDR, Digital Audio. The Sony CD-R Music 80 Minute Recordable Compact Disc ( Pack of 50) is a write-once disc designed expressly for recording up to 80 minutes of excellent sound quality of music or audio equal to pre-recorded compact discs. 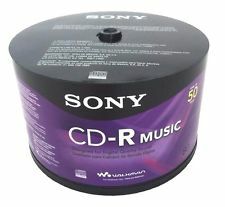 Sony CD-R music discs record digital music and audio in the standard compact disc 16-bit, 44.1 kHz format for playback on conventional home, auto and portable CD players. 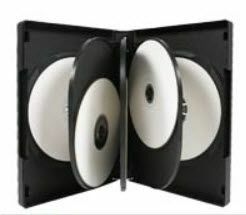 Write-once recordable compact disc that stores up to 80 minutes of audio recording.